the asset of human intelligence. 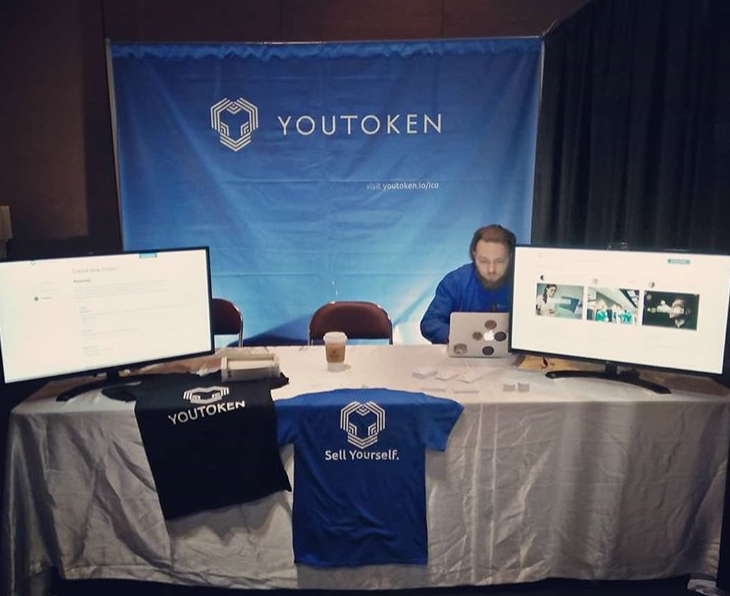 YouToken (YTN) presented their innovative blockchain-based crowdfunding platform to over 1,400 attendees at the 2018 Global Blockchain Forum in Santa Clara, California. 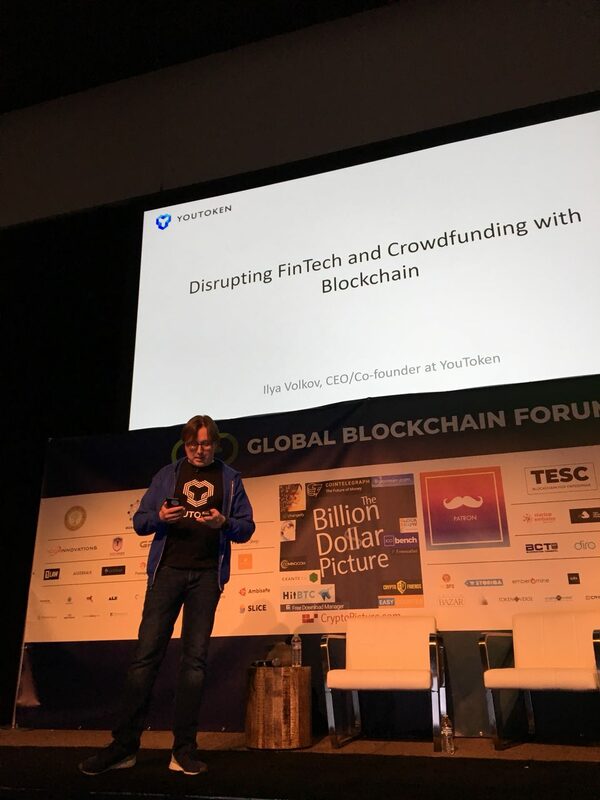 Dozens of promising startups attended the event with YouToken leading the way in the FinTech and crowdfunding disruption sector. Based on blockchain technology, the platform aims to connect investors with entrepreneurs via crypto tokens and ultimately capitalize on a project in its early stages of success. 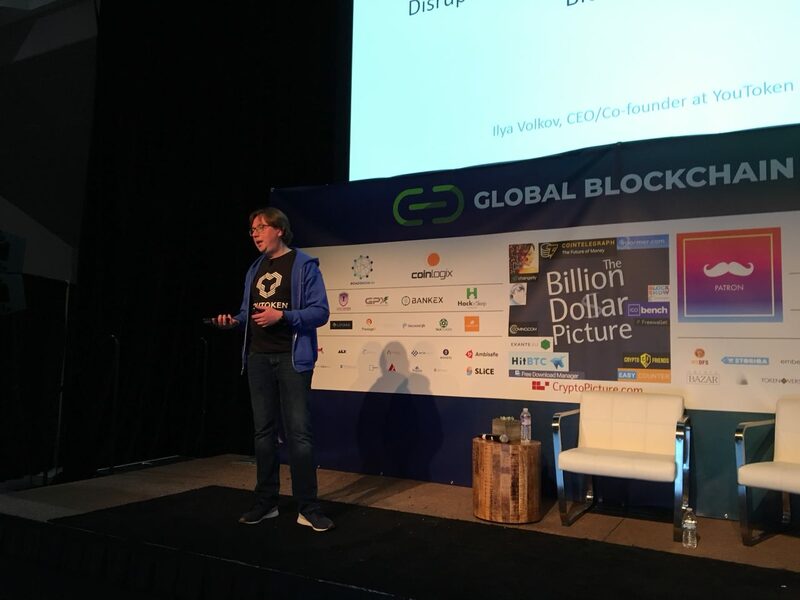 CEO Ilya Volkov giving a speech on the asset of human intelligence. By minting each entrepreneur on the platform their own personal, creator tokens (expressed as YTN_creatorname), YouToken discovered a way for early-stage entrepreneurs to literally sell their ideas to investors in exchange for starting capital on their project. In return, investors get a chance to capitalize on a young creator at their earliest stages of success. In addition, the platform offers four unique smart contract options (donation, debt, revenue share and equity) giving investors more diversified opportunities in their strategy. 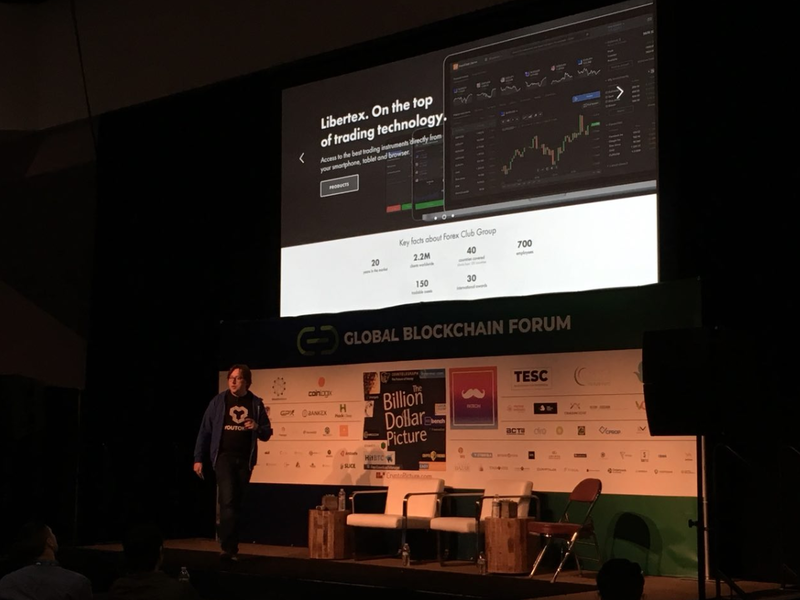 Aside from the booth presentation, attendees were treated to a number of high profile speakers like renowned cryptocurrency venture capitalist Tim Draper, TechCrunch founder Michael Arrington, Co-Founder of Civic.com Vinny Lingham and Autodesk Innovation Genome founder Bill O’Connor. 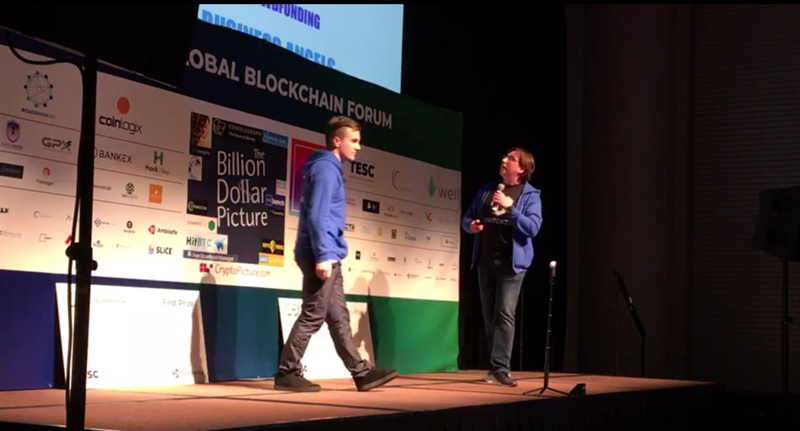 Joining them on-stage were YouToken CEO Ilya Volkov and CMO Ivan Kv. 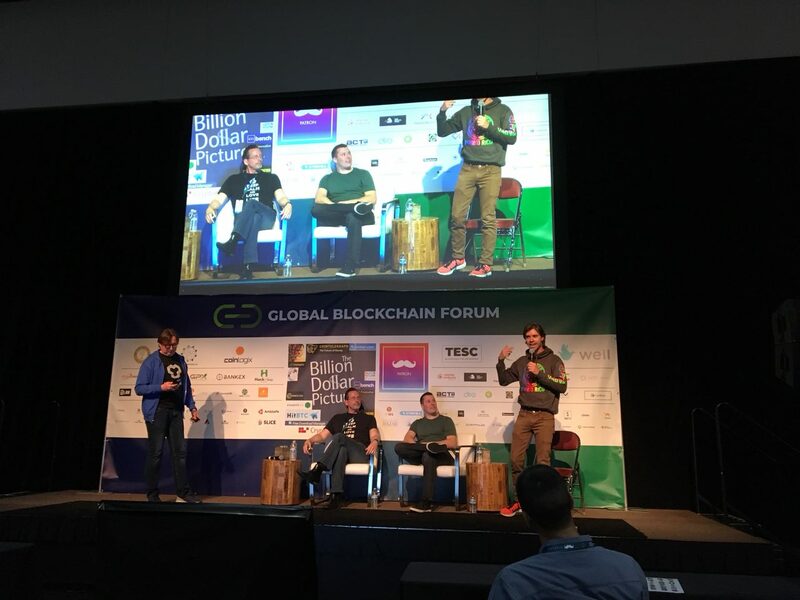 Together, they presented their concept to a panel of judges for an ICO competition and also in front of forum attendees at the main, “business stage” to close out the two-day event. Regarding the event, it was incredible to make so many great connections and finally discover our place in this warm community. 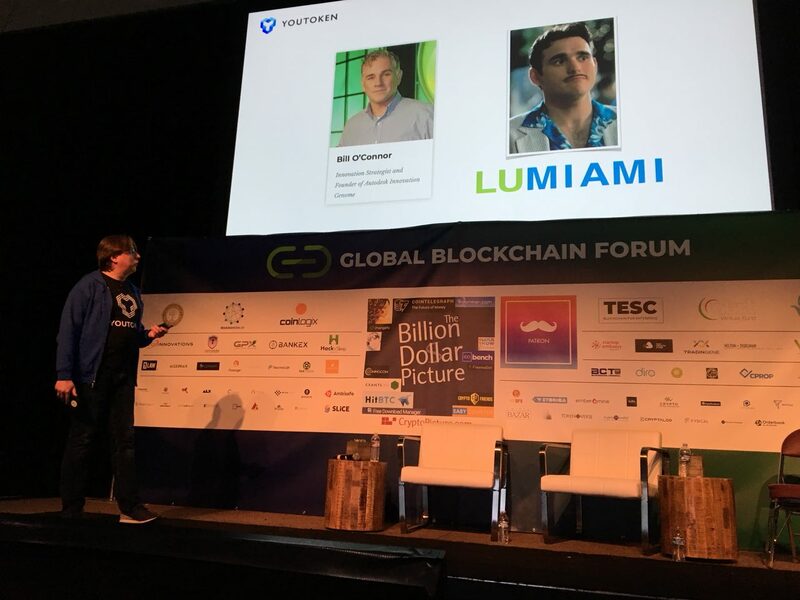 Attending events like the Global Blockchain Forum proved to be incredibly beneficial to YouToken and we look forward to attending many more like it in the future. 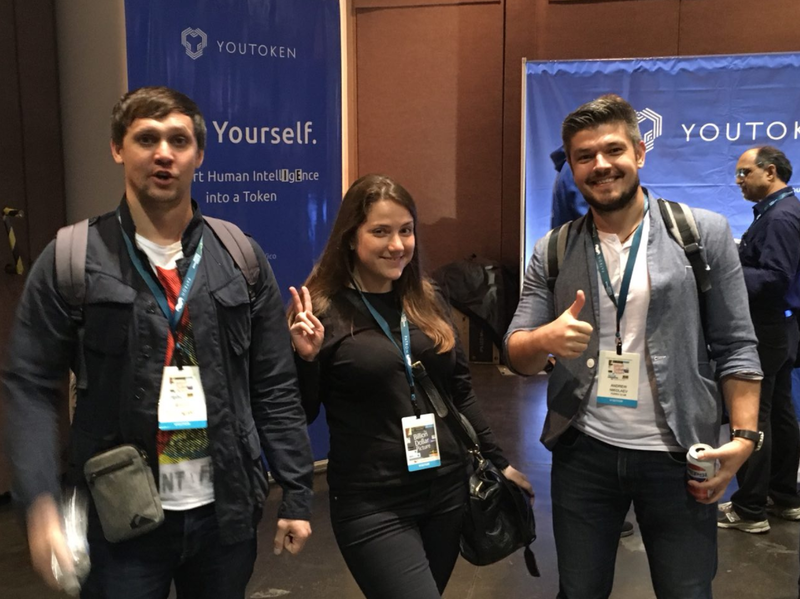 While the 2018 Global Blockchain Forum came to a close, YouToken is still working on developing the platform and beginning there ICO on May 1st. For more information on YouToken and the crowdsale, visit us https://www.youtoken.io/ico. Also, stay tuned for videos of Ilya and Ivan's speeches coming to social media channels soon.